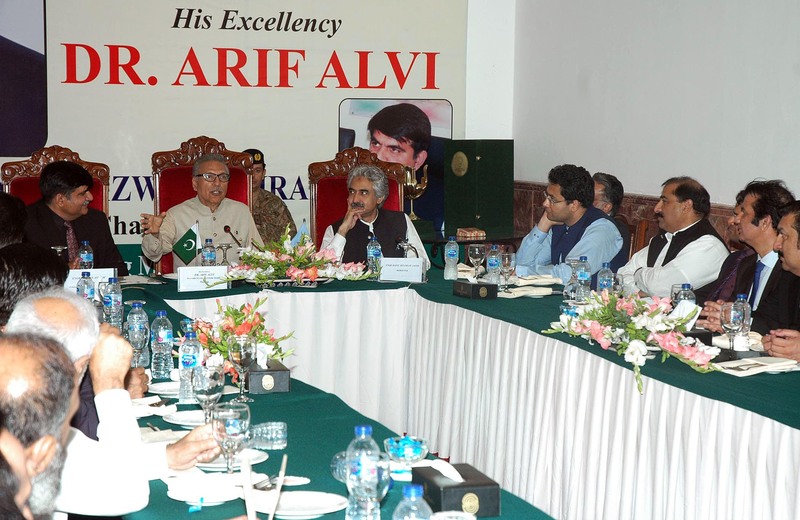 President Dr. Arif Alvi talking to a delegation of All Pakistan Textile Processing Mills Association (APTPMA) who called on him in Faisalabad on April 25, 2019. 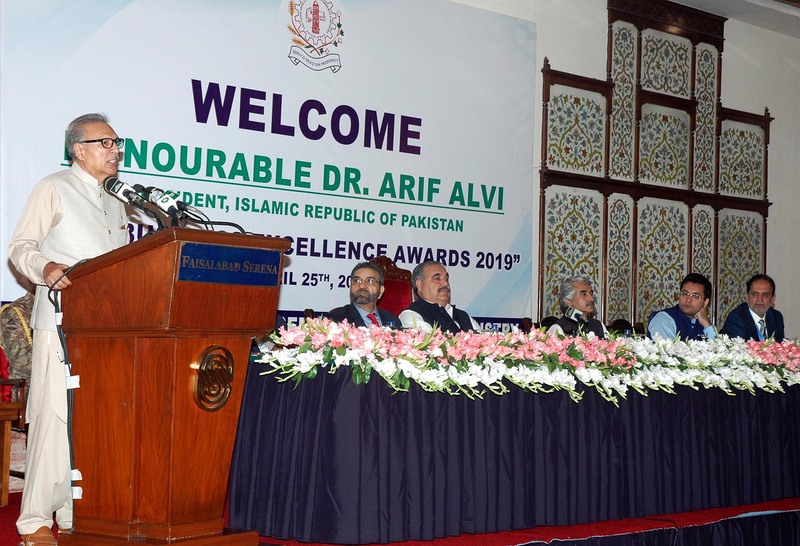 President Dr. Arif Alvi addressing the 2019 Business Excellence Award Ceremony of Faisalabad Chamber of Commerce and Industry in Faisalabad on April 25, 2019. 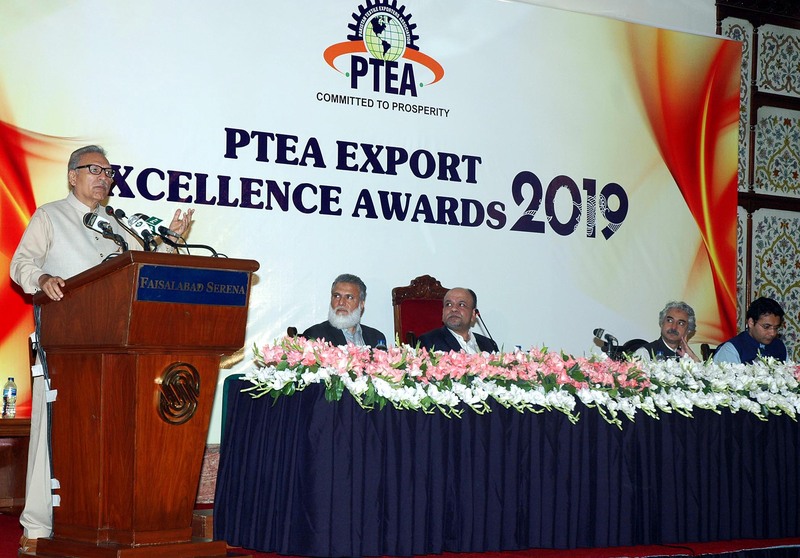 President Dr. Arif Alvi addressing the Award Ceremony of Pakistan Textile Exporters Association (PTEA) in Faisalabad on April 25, 2019. 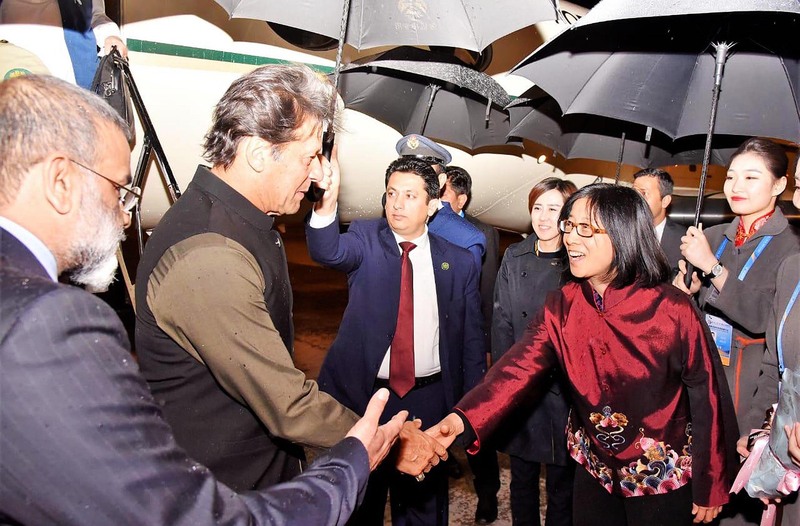 Prime Minister Imran Khan being received by Ms. Li Lifeng, Deputy Secretary-General, Beijing Municipal Committee of CPPCC, upon arrival in Beijing, China on April 25, 2019. Special Assistant to the Prime Minister on Information & Broadcasting Dr. Firdous Ashiq Awan along with Minister for Information Punjab Syed Sumsam Bukhari and Minister for Information Khyber Pakhtunkhwa Mr. Shaukat Ali Yousafzai called on Prime Minister Imran Khan in Islamabad on April 25, 2019. Prime Minister Imran Khan meets Chairman of the Saudi Shura Council Dr. Abdullah Bin Mohammad Al Ash-Sheikh in Islamabad on April 25, 2019.